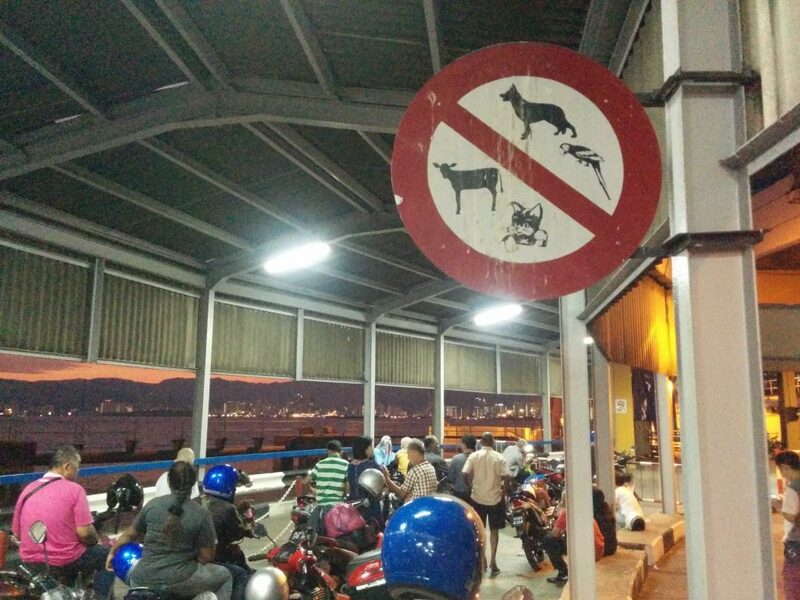 So, here I am in Malaysia and back in the Muslim world. 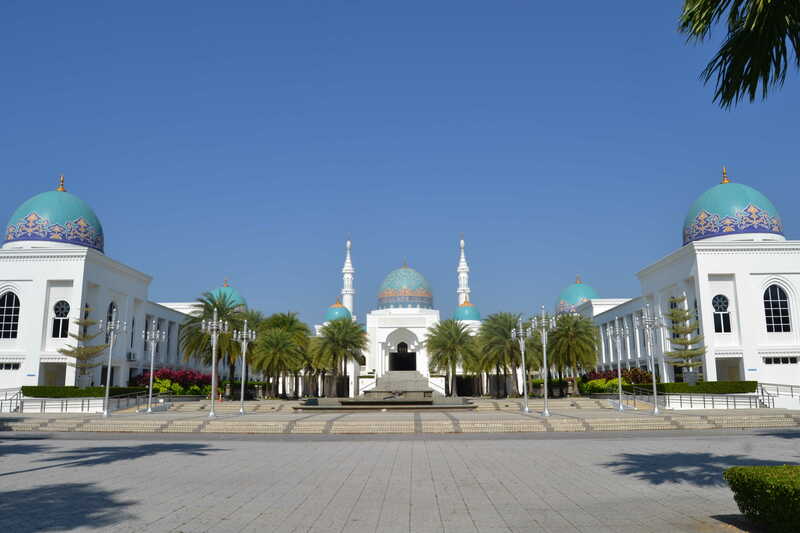 Not that there hasn’t been a mixture of religions around, especially Muslims in southern Thailand but the difference is which religion the government prioritizes. In Malaysia I fell asleep and woke up with the Muezin singing and I have to say that I was really impressed by the morning song. I haven’t heard anything that musical from a mosque so far. People say that if you grew up with European music, the arabic scales will sound odd and out of tune to you but my impression is that well sung arabic music sounds exotic but pretty alright and then some singers are simply out of tune. I have to say a word about recording on the road because I’ve spent a lot of time with outdoor recording in the last month. It is one thing to just film something funny in any location with a lot of surrounding noise but it’s another thing to record music. 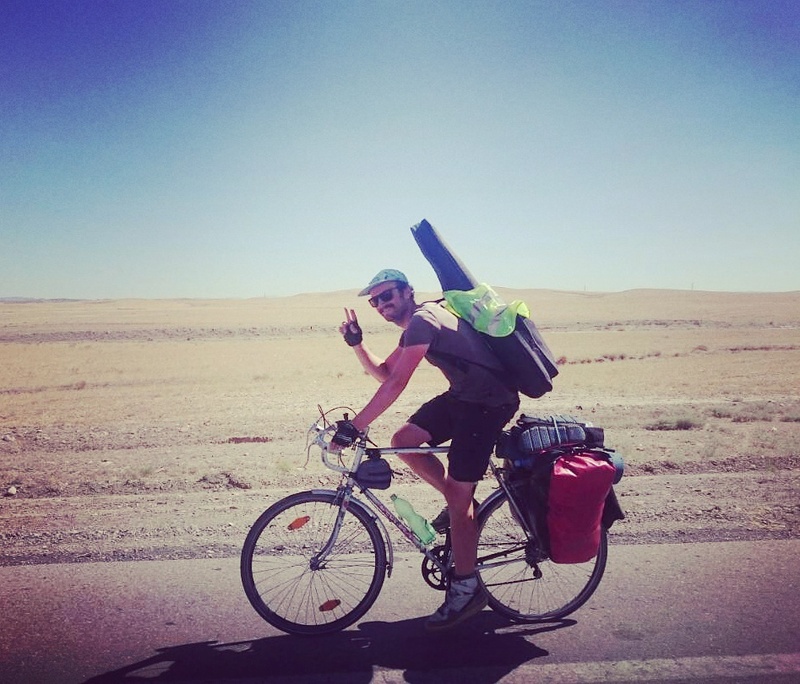 When I started this tour, I thought I would record much more music but then I realized that it’s actually very difficult to record (and perform) music outside in an unpredictable environment. There’s so many things that have to fit. I mean nothing has to be perfect but for example yon simply can not record a song on a motorway because you will not hear the song. The noise is the biggest problem, it’s just very loud out there and the funny thing is that I didn’t realize it until I packed out my Guitar and simply couldn’t hear it. The human ear is remarkable when it comes to noise suppression, a condenser microphone unfortunately isn’t. But then there’s so many other requirements that the recording location has to meet. It should be somewhat worth filming, you shouldn’t freeze to death while you’re playing and you also shouldn’t suffer from the heat too much. Although I have to say that the cold is the bigger problem because below a certain temperature I lose control over my fingers and so I can’t play the guitar properly. Then it has to be bright enough to see anything and it shouldn’t be too windy. Strong wind is very problematic as it ruins the sound. 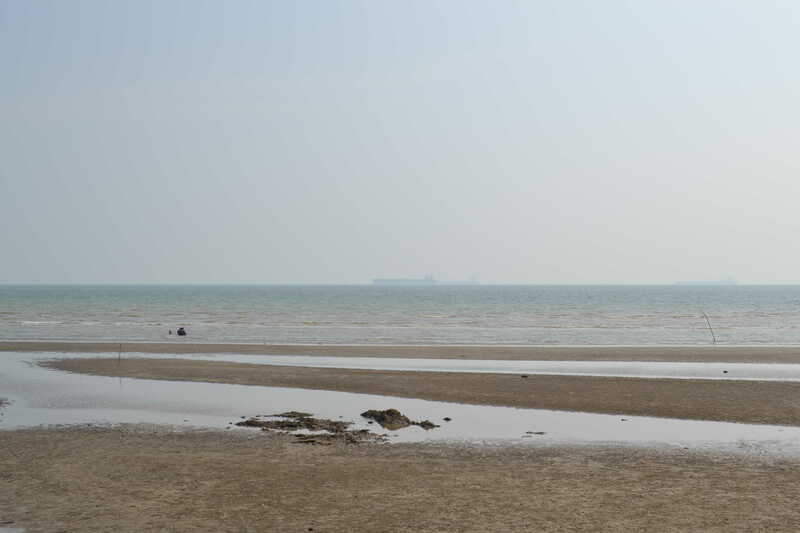 It also has to be a spot where you’re not eaten alive by insects that infect you with funky tropical diseases. Ants can also be very distracting although they’re harmless. Not to forget people who like to start talking on their phone during the recording. And if you find this magic location your camera should still have a few percent of battery and a bit of space on the card. And last but not least you shouldn’t be too exhausted to finally perform something worth recording and hope you don’t screw it up or forget the lyrics. So, you see it is a tricky business and not always successful. On my first day in Malaysia I gave up and had my last Chang beer from Thailand that I had wisely bought before I crossed the border. 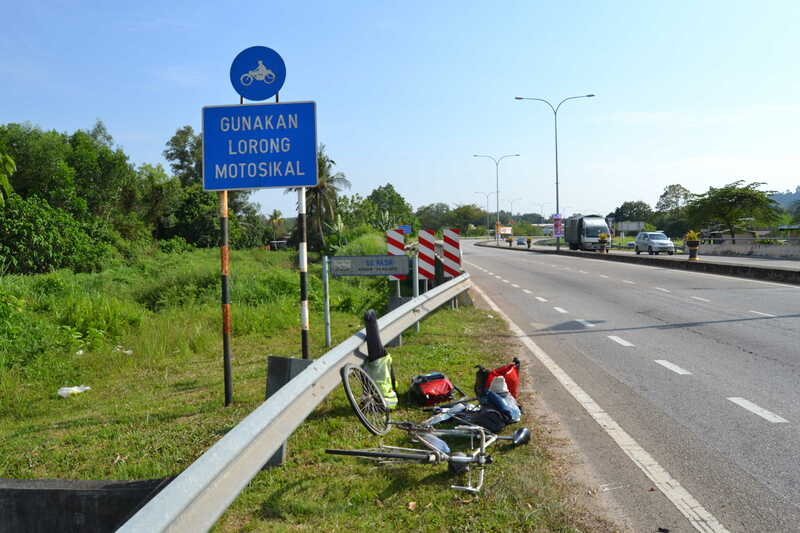 Malaysia also welcomed me with my first serious puncture. I drove over some evil piece of plastic, I don’t actually know what it was but it made a big slash into my rear tyre. So big that I had to stabilize it from the inside with a piece of plastic bottle. Anyways, if a hole in the tube is too big it’s getting really difficult to fix, especially if the vulcanization patches are old. I made it somehow to Georgetown where the patches finally gave up and I had to wait one day to buy all new tubes. 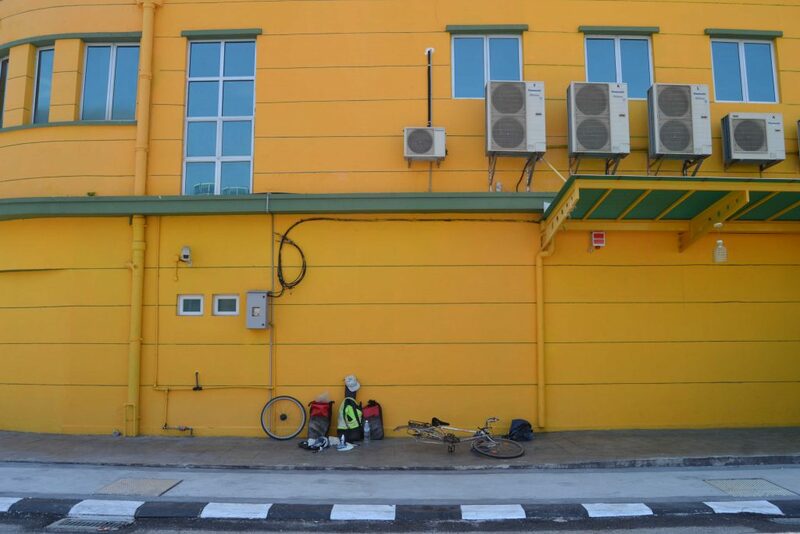 But Georgetown isn’t the worst place to wait for a bike shop to open. This was arriving at the Malacca Strait in the evening after a long day with a long ‘screwing around on the bike’-break. 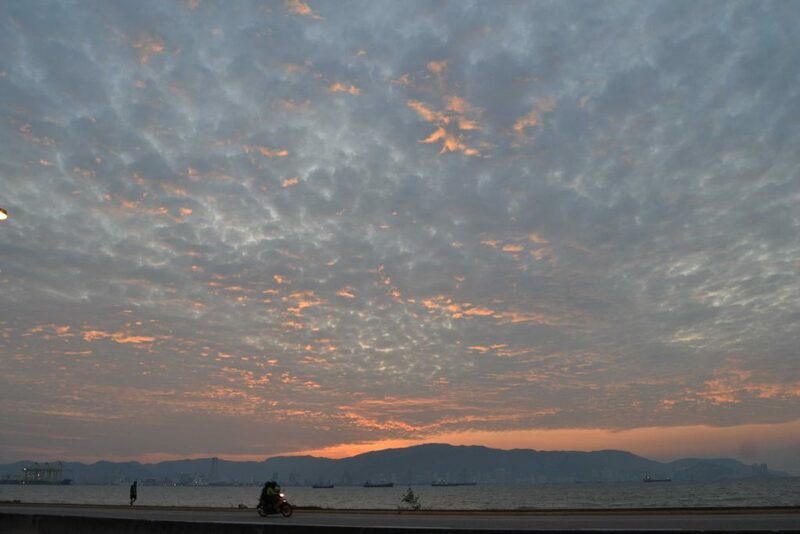 In the background, that’s Georgetown on Penang Island, I took a ferry over because I love taking ferries and I love to be around many motorcycles! 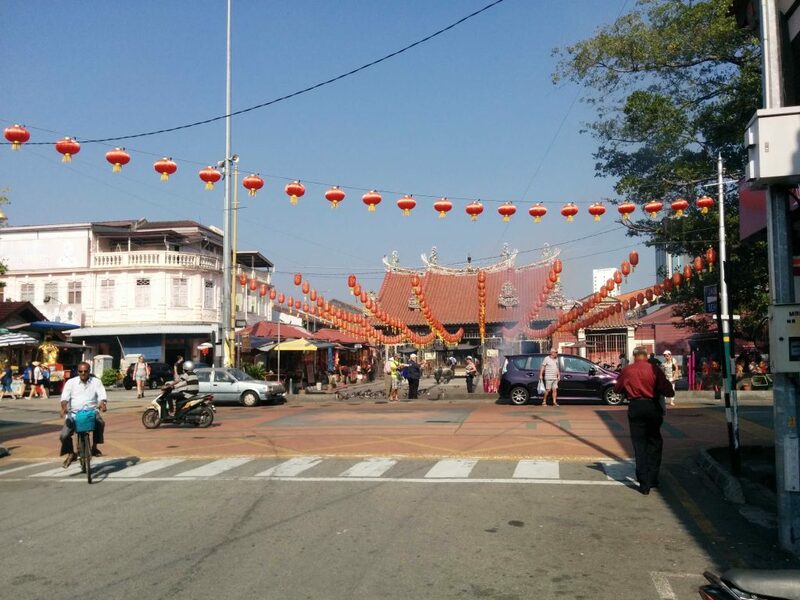 I had the feeling that everything was closed in Malaysia while I was there but that was probably due to the Chinese New Year celebration. Anyways, I saw a lot of Chinese tourists and felt a little bit like back in China. I hope this restaurant concept will make it to Berlin one day. It’s many little restaurants sharing the tables. You just have to look what they’re cooking in each booth and order where you like the food. 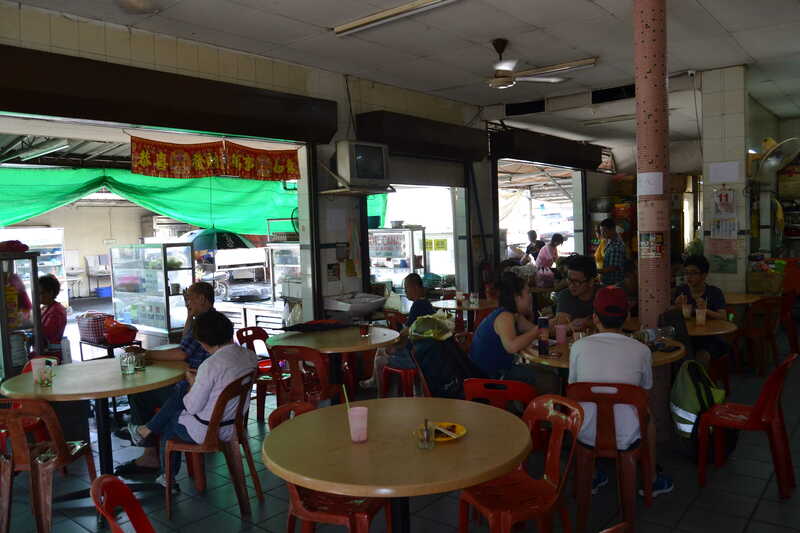 Ok, maybe not that extraordinary but I liked the Idea of having different kitchens in one restaurant and in Malaysia all the food is really tasty! Here’s me having more fun, trying to repair this damn tube. Hopeless! 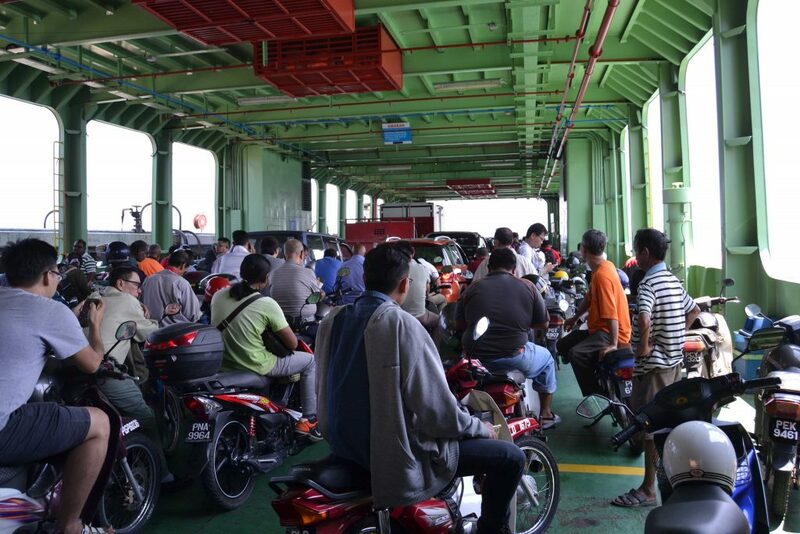 And the ferry on the way back to the mainland when the bike finally was rolling again. On my way out of Georgetown I stumbled across another group of trash eating monkeys so I thought I should try to film them. Malaysian monkeys are more shy than the Thai monkeys I’d say. 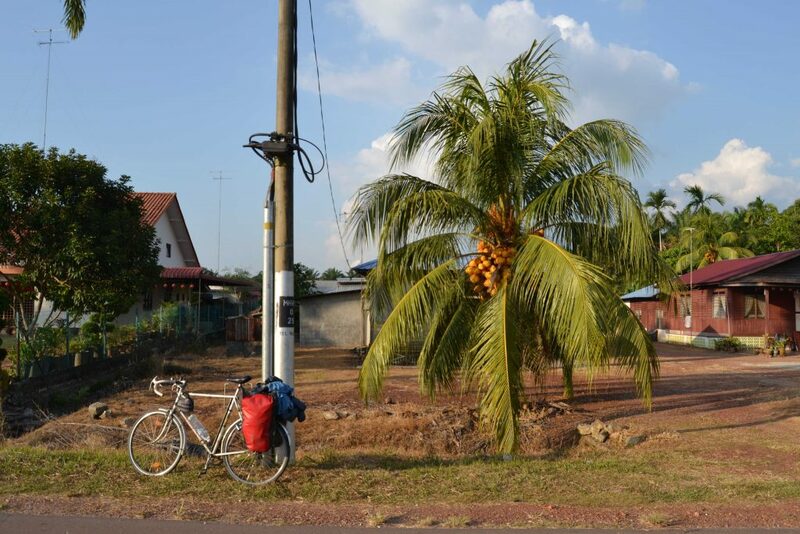 When I was a child I was always thinking about Malaysia as some exotic land somewhere far away on the equator and that one day I’ll go there. But I guess I imagined more jungle and wild nature, maybe because of the exotic name. 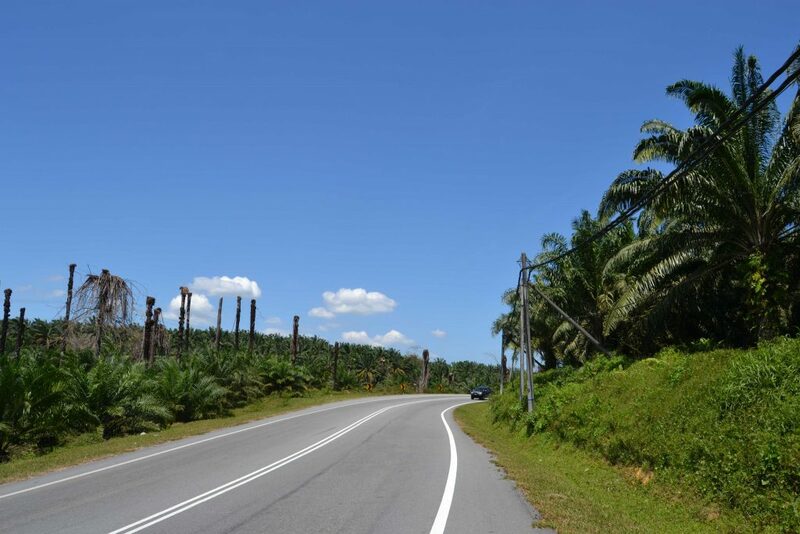 However, Malaysia is a pretty well industrialized country, at least the west coast of the peninsula didn’t seem less developed than Germany to me, the monoculture here is palm oil. I found some nice places to camp but the closer I got to the equator the hotter it got and even at night it didn’t really cool down, a paradise for mosquitoes, especially in the palm oil plantations. This is on the way into Kuala Lumpur where I was cycling around for a half day to buy a water filter. Eventually I got one and I hope it will reduce my use of plastic bottles. 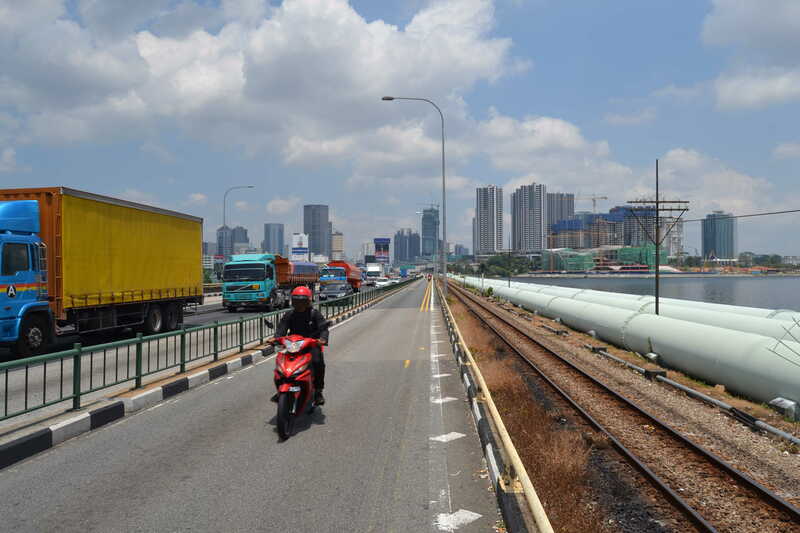 Cycling into Kuala Lumpur is a nightmare because it seems that all the roads leading into the city are highways and they are a crazy labyrinth, so you better pass them quick and hope the police doesn’t find you, otherwise you have to deal with the even more confusing net of roads that are allowed for cyclists. This is on top of my host’s building (next to the rooftop-pool). 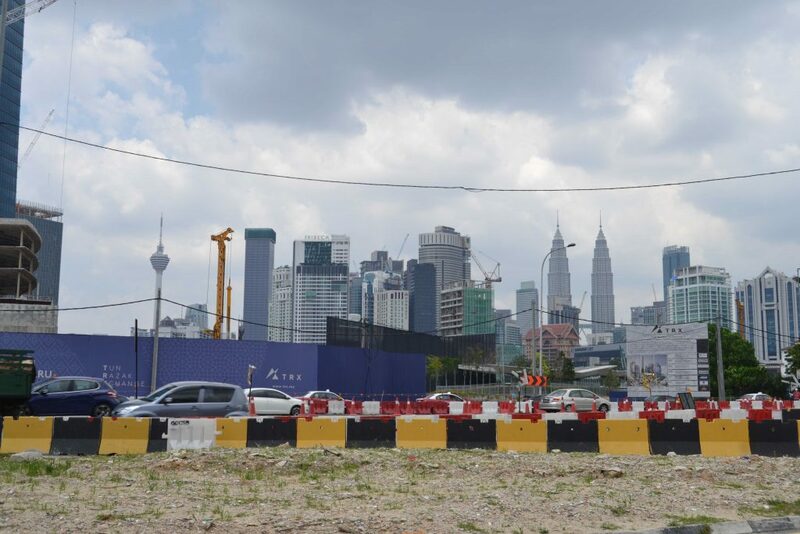 He said he used to see the Petronas Towers before they built this new skyscraper in front of it. 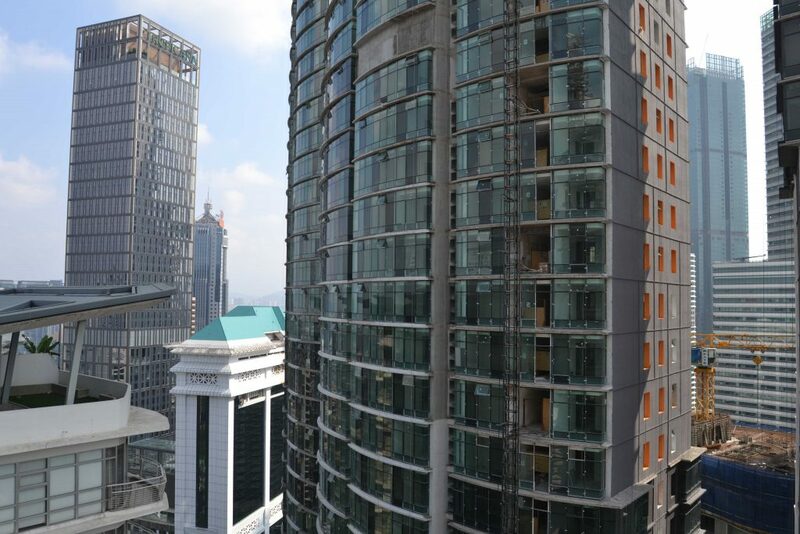 What I learned in Kuala Lumpur is that actually nobody wants to live in these super modern glass towers. If people would start loosing their money in cryptocurrency cities would maybe end up with fewer of these dead towers. 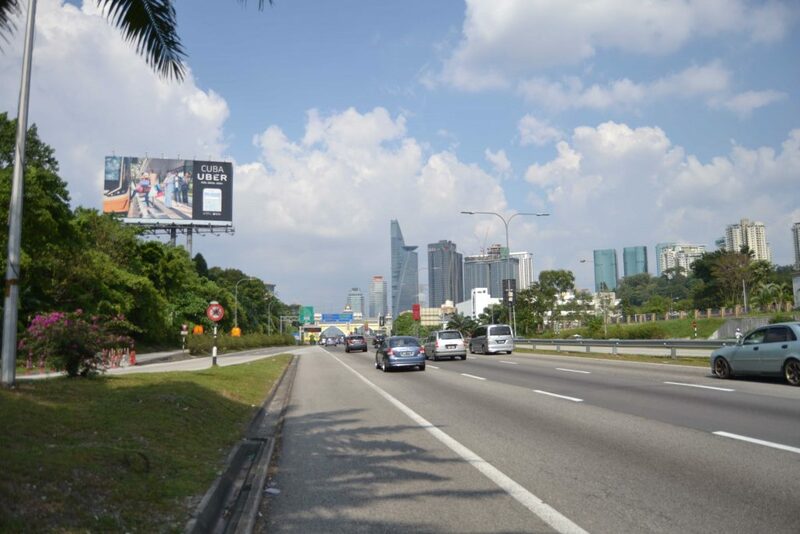 Due to my tyre problems in Georgetown I was a bit in a rush and so I left Kuala Lumpur with a little hangover on the next day already for my last 500km of palm oil plantations on the way down to Singapore. 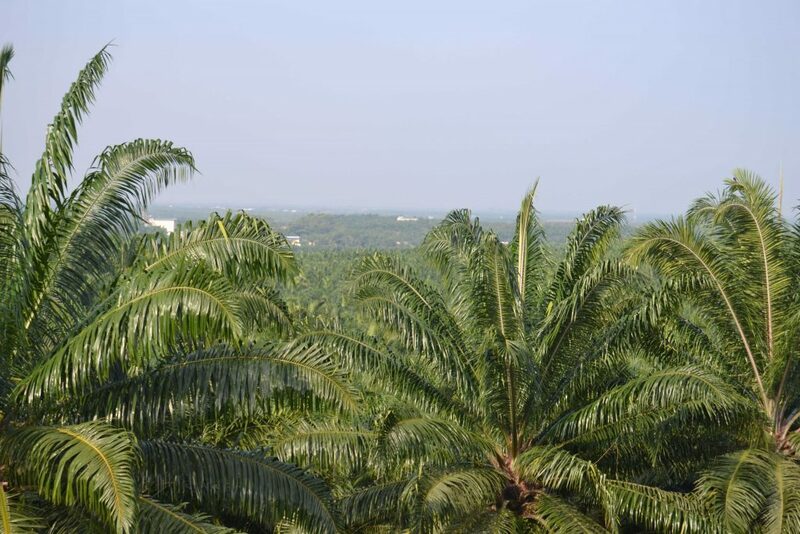 These plantations are everywhere and it’s getting really boring to see them. 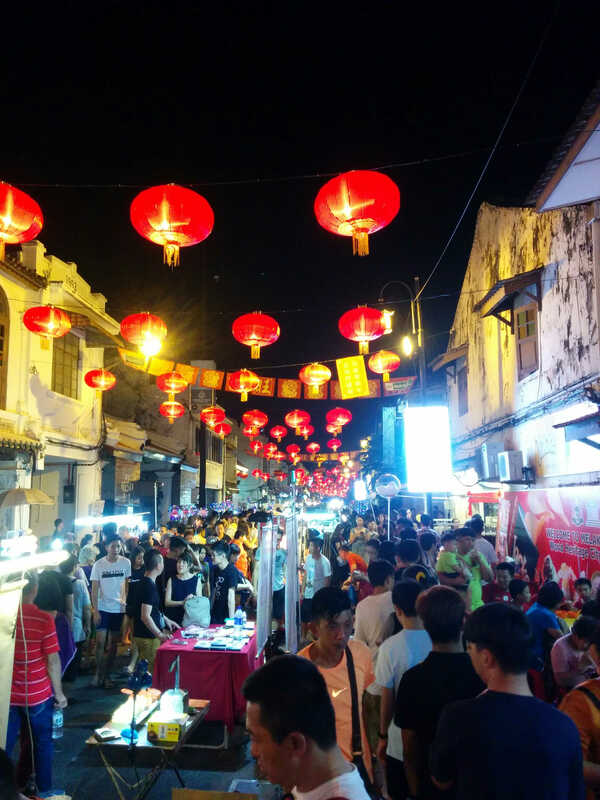 This was in Malacca on Chinese New Year, super crowded and hard to find a place to eat. 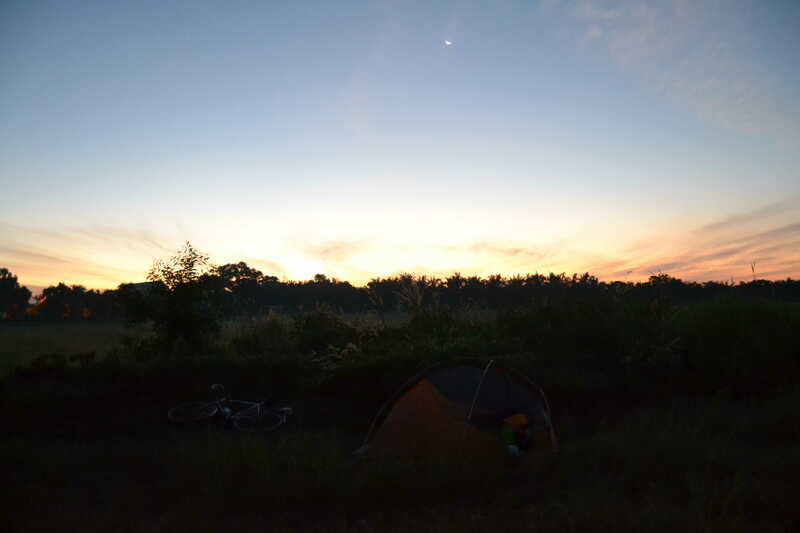 This was my last night camping in Asia before I got to the Singapore border and the recording conditions were excellent, for at least for 20 minutes, then the mosquitoes came. 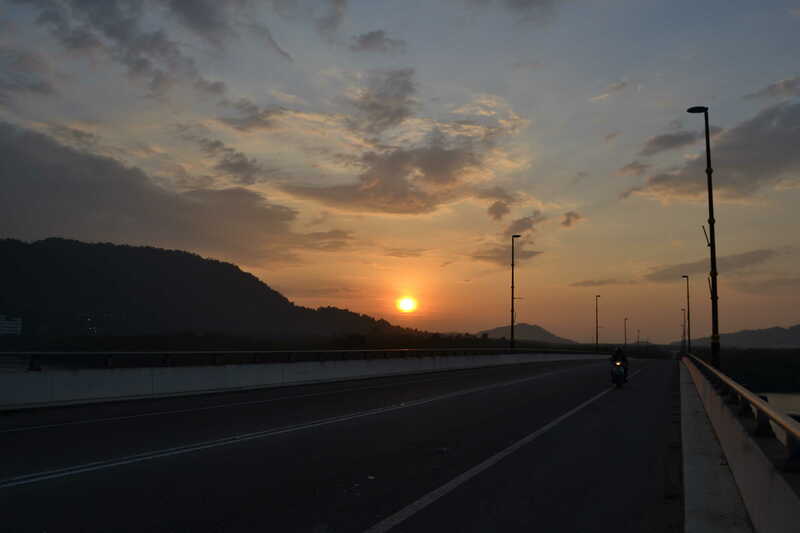 On the next day I was counting down the last kilometers of Malaysia and mainland Asia. 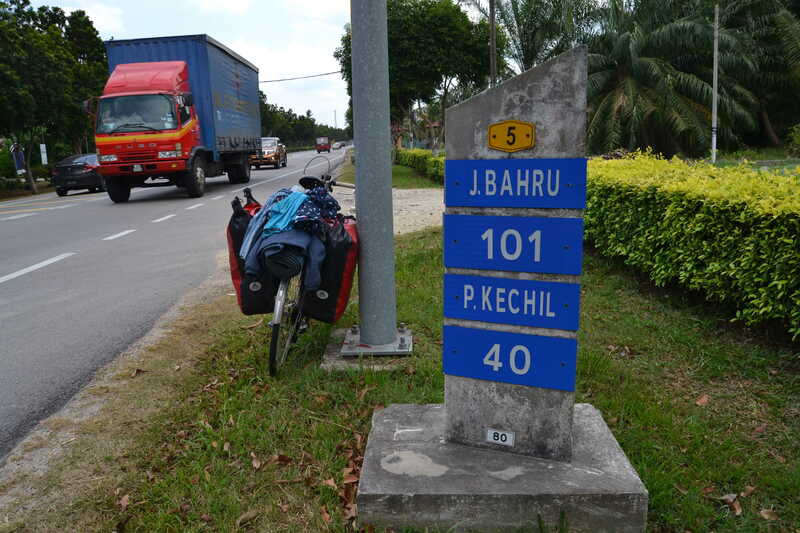 101km to Johor Bahru, that’s the checkpoint to Singapore. 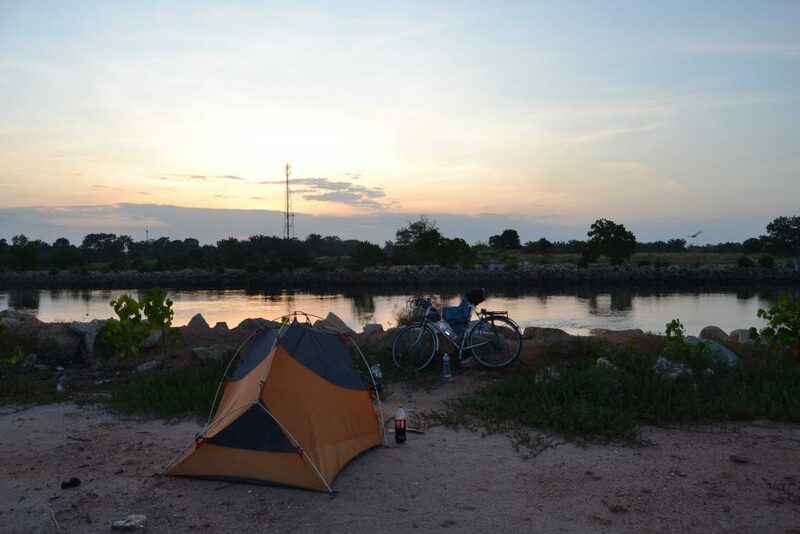 One last look back from the no-man’s-land between Malaysia and Singapore (and the only bridge you’re maybe allowed to cycle? ).